Add to this conjecture one bit of concrete info- Qualcomm’s President President Cristiano Amon telling Axios “We’re still in San Diego, they have our phone number…If they call, we’ll support them.” Of course, we know that’s a thorny issue all it’s own. In fact, the Taiwan’s Electronic Times reported this week that Qualcomm and Samsung both turned Apple’s requests for 5G modems down. So what’s the problem here? There are a lot of sources taking these various tidbits of rumor and supposed insider information and running with them. According to Fast Company, Apple has already abandoned Intel and moved on, but that’s just the beginning of the conjecture. The wider story being reported is that, if Apple doesn’t deal with Intel, then they not only won’t have a 5G iPhone in 2019, but won’t make 2020, either. Here we have a great example of an assumption that is based on information that can’t be corroborated. And it all comes from sources that don’t have track records worthy of blind trust. This is exactly how analysts and tech reporting outlets got burned with conjecture about iPhone X sales in early 2018. Here’s the thing. There are a very small number of analysts and tech reporters who we know deliver Apple news and rumors that can be trusted for accuracy. Guys like Ming-Chi Kuo and Mark Gurman can be counted on to deliver Apple news that is at least grounded in reality. Things may change and the info may not always be 100% correct, but they have legitimate track records that go back several years. When they speak up, even the most skeptical among us have to listen. The word of other analysts and reporters can’t always be taken at face value, especially when you get into situations where they take a tidbit of news and start to build wider assumptions or arguments on it. Now, I will go ahead and admit right now that my skepticism could end up being unfounded. These reports could be correct. That is entirely possible. The conjecture that is based on the reports could also prove to be accurate. My point is that, based on the fact that the rumors haven’t been backed up by a more trusted source, skepticism is still warranted. Now, there are some bits and pieces in these stories that make a lot of sense. For example, we already know that Apple has ambitions to be self-sufficient when it comes to chips and processors. They have already made great strides in this area. As such, it makes perfect sense that the company would have significant manpower and resources dedicated to the production of their own 5G modem. I have no doubt that this is true. However, without wider context, how do we know when they ramped up development? How long have these people been dedicated to this task? Without knowing that, we can’t make predictions on when Apple will or won’t be ready with a 5G modem of their own. We also know that Apple has an extremely strained relationship with Qualcomm and a marriage of convenience with Intel because of that. We also know that they are unlikely to do chip business with their rival Samsung. However, we have seen necessity drive the settling of conflicts before. 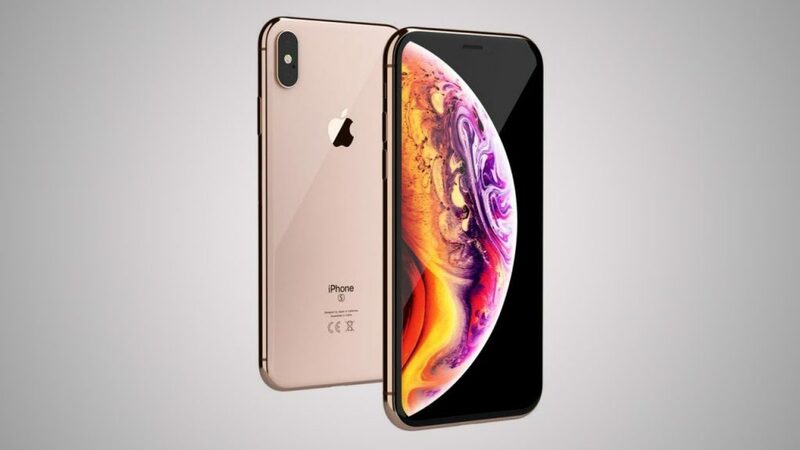 While Qualcomm may have refused to deal with Apple on the iPhone XS, XS Max and XR, that does not mean the current conflict can’t be resolved, no matter what the Taiwan Electronic Times says. If Apple can’t be ready with its own modem before 2021 (again, also based on conjecture), then there is enough money on the line on both sides that a deal can still happen. That’s how business works. As for Samsung, while I am sure Apple would prefer to avoid doing more business with them than they have to, that dosn’t rule it out. Remember that Apple currently buys a LOT of OLED screens from Samsung for their current iPhones. Again, if Apple sees getting 5G into a phone by 2020 as critical, they will make it happen, one way or another. Of course, ALL of the assumes that Intel can’t get the job done. Right now, even though every tech outlet seems to be treating this as a foregone conclusion, we don’t know if that is actually true. My point with all of this is that sometimes it’s good to step back and take a look at who is saying what, and why they are saying it. I’m not claiming any kind of conspiracy or deliberate misinformation here. What comes to mind as a more reasonable justification for skepticism is Bloomberg Businessweek’s article last year claiming that Chinese spies had infiltrated supply chains and added tiny Trojan horse chips to motherboards. I am sure that they were confident in their sources for their story. They deliberately played it up and made a huge splash because of that. Then they got raked over the coals when it became obvious that they were mislead. If the stories about Apple’s potential struggles getting 5G into an iPhone over the next two years were based on information from Ming-Chi Kuo or Mark Gurman, I would be a lot less skeptical. If they come out and back these reports up in the coming weeks, I will believe there is more to this beyond theory and conjecture. Until then, it would be wise to question what you are reading and give these rumors the skepticism they currently still deserve.